Colorado Lottery players are hoping for fireworks this weekend, with both the Mega Millions and Powerball jackpots well into the triple digit millions. The Mega Millions jackpot has reached a staggering $449 million as of Sunday morning, the third-largest jackpot in the game's history. The lump sum cash value is currently $289.6 million with the next drawing scheduled for Tuesday night. Powerball's jackpot for Wednesday night's drawing is at $247 million and has a current lump sum cash value of $179.7 million. Colorado has seen two Powerball jackpot winners since joining the game in 2001. The state's largest Powerball jackpot winner, Claude G. from Rifle, claimed $90 million in August 2014. The Colorado Lottery began offering the Mega Millions game in 2010 and a jackpot has not yet been won in Colorado. Powerball and Mega Millions are both multi-state games. 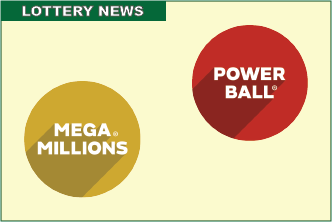 Mega Millions drawings are held every Tuesday and Friday at 8:59 p.m. MST. Powerball drawings are held every Wednesday and Saturday at 8:59 p.m. MST. Proceeds from the Colorado Lottery's games create, enhance, and protect parks, wildlife areas, trails, and open space in Colorado. For 33 years, the Lottery has returned more than $2.8 billion to outdoor projects through Great Outdoors Colorado (GOCO), the Conservation Trust Fund, and Colorado Parks & Wildlife.